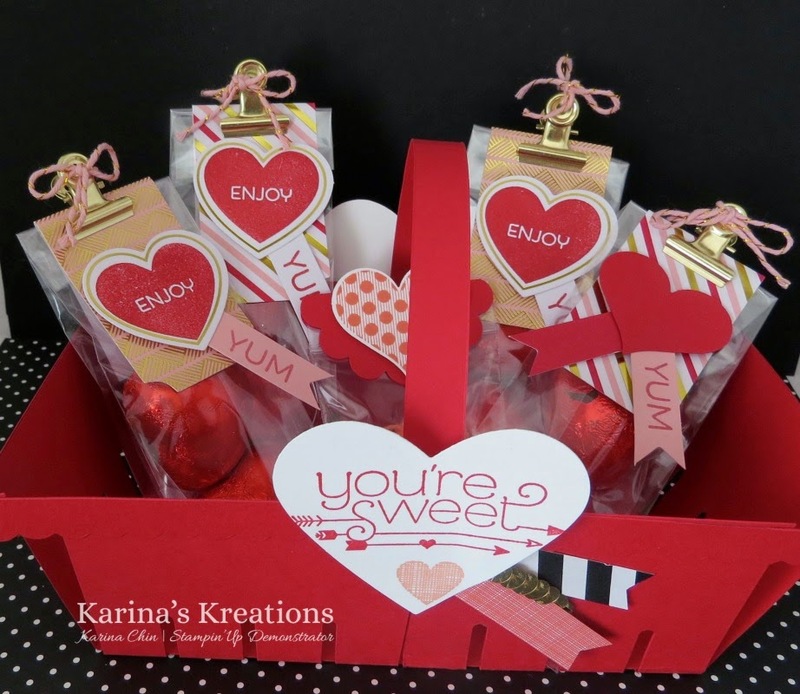 Karina's Kreations: Berry Basket Bigz L Die! Berry Basket Bigz L Die! I presented the Berry Basket Bigz L die on the Saturday and this was one of my projects. I demonstrated how to enlarge the Berry Basket. To make a large basket, you need three pieces of 5-1/4" x 8-1/4" card stock cut with the Berry Basket die. Cut one basket piece in half at 3-7/8". These two pieces go at the basket ends. 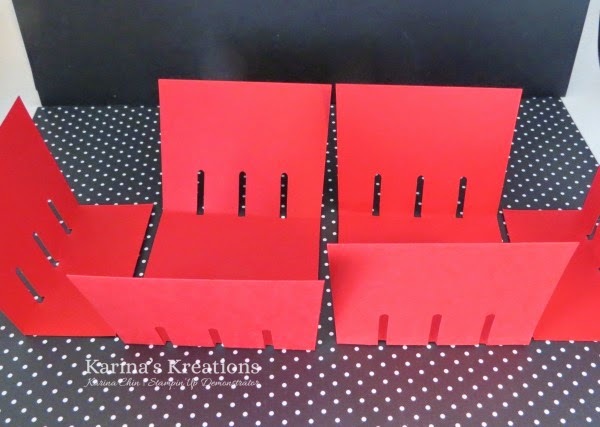 Cut a piece of 2-7/8" x 6" piece of card stock attach to the inside the basket. Use the three scalloped pieces to hold your basket together. by cutting three pieces of card stock with the die and cutting one piece in half at 2-7/8". I hope you will try to make one! The Berry Basket die is $46.95 and I would add on the Stampin'Up hand held stapler 12.50 and some glue dots 6.50 to bring your order to 65.95. You'll get a FREE sale-a-bration item.